The Cartoners have a range of applications, allowing for cartons to be formed, filled and sealed with loose or pre-packed products. 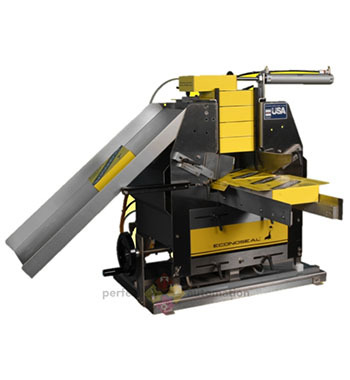 These machines can also be used for Tray Sleeving. 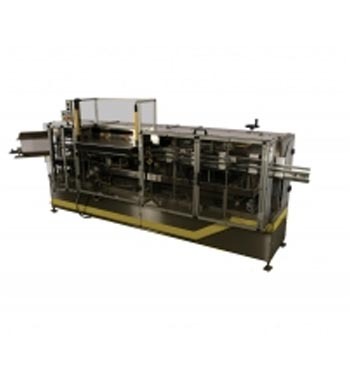 The Tray Sleeving Machines have a range of applications, allowing for product to be slipped into formed trays. These machines can also be used for Cartoning. 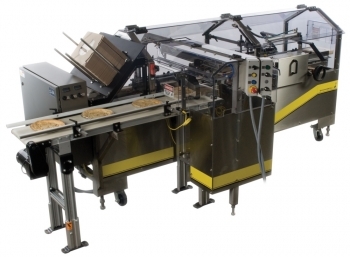 The Spartan is an intermittent, horizontal Cartoner that erects a knock down pre-glued sleeve and uses a pusher system to feed the product into the carton. This machine is user-friendly and is PLC controlled. The Spartan Cartoner System does not advance if no product is loaded or no carton is prepared. This Cartoner has a stainless steel construction making it easy for cleaning and maintenance. The Pegasus Cartoner offers fast and accurately formed cartons using glue, tuck or tape closure. With it’s stainless steel frame and simple design, the Pegasus Cartoner provides an effortless and affordable solution for a broad range of carton sizes. This machine also uses simple technology to control variable speeds and carton sizes, allowing for easy changeovers. The E-system 2000 is an intermittent horizontal cartoner that erects knock down, pre-glued sleeves. The E-system 2000 Horizontal Cartoner erects, loads and seals the carton with the availability to accommodate glue sealing, tuck closure or hot air closure. With the use of a vacuum system the cartons are removed from the supply magazine, erected at a single product load station, with product either manually or automatically loaded into the carton which is then transferred to the closure and packing station. This machine is PLC controlled for reliable use and has a stainless steel construction for easy cleaning and maintenance. 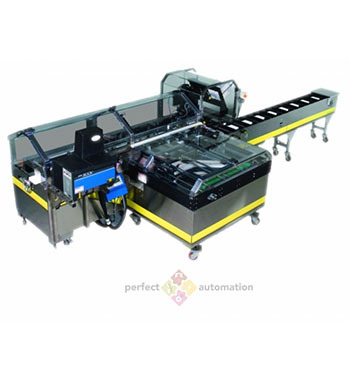 The V-system Cartoner is a pneumatically operated, intermittent motion vertical cartoner. The V-system Cartoner is for loose products, which are dropped down into the erected cartons and is moved along the line via a dual cycle start button for glue enclosure. The V-system Cartoner is simple in it’s modular design and has a stainless steel construction for easy cleaning and maintenance. The Reverse Triseal Cartoner can handle all conventional 3-flap style cartons, either lock or glue-formed. This machine is designed for reliable operation without the need for extensive operator training. 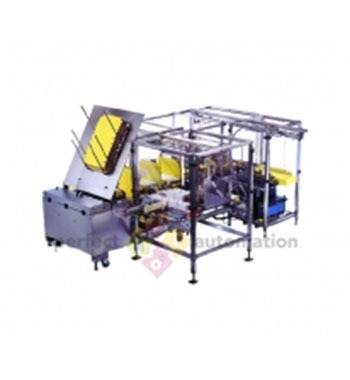 The carton is presented for sealing of end flaps and then is elevated to a second station, where on the next machine cycle, the front flap is sealed. This machine is simple in design and has a stainless steel construction for easy cleaning and maintenance. The Reverse Triseal is also available with cold glue or hot melt sealing. The Twinseal Cartoner is a semi-automatic carton sealer. 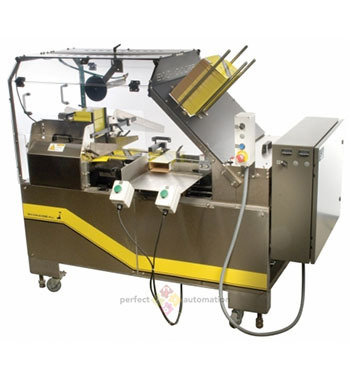 This machine uses hot melt glue to seal the undersides of both major inner flaps. The Twinseal Cartoner has stainless steel construction for easy cleaning and maintenance. 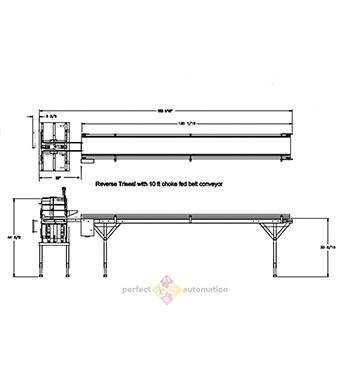 This machine is pneumatically operated and is user-friendly. The Wrap-Around Spartan Cartoner has been re-designed to accommodate larger sized cartons and to improve the transition of cartons along the outfeed conveyor. 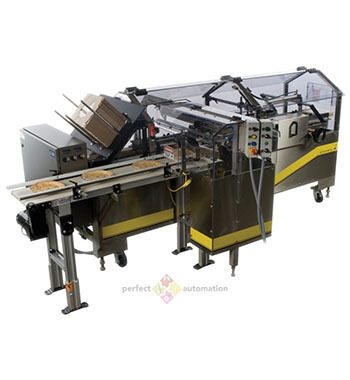 The Wrap-Around Spartan Cartoning Machine has a stainless steel frame for easy cleaning and maintenance, and is PLC controlled making this machine user friendly and easy to operate.